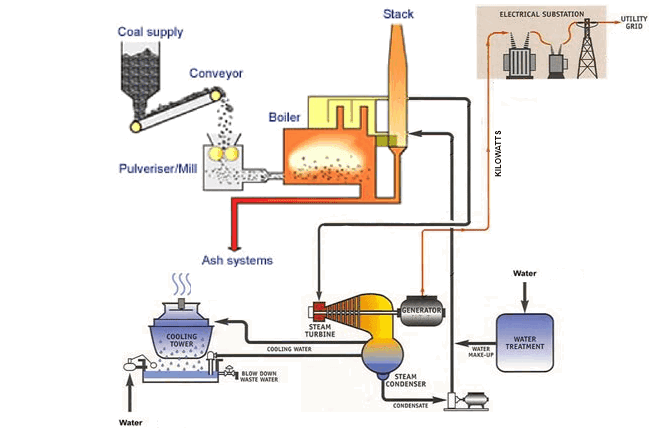 The current industrial production of aluminium is based on the electrolytic [discovered in 1886], which is characterized by the large energy consumption, about 15 MWh / tonne Aluminium (International Aluminium Institute 2009) and by the release of perfluorocarbon (PFC) and vast amounts of greenhouse gases, reaching 7 kg CO2-equiv / kg Aluminium in modern plants. 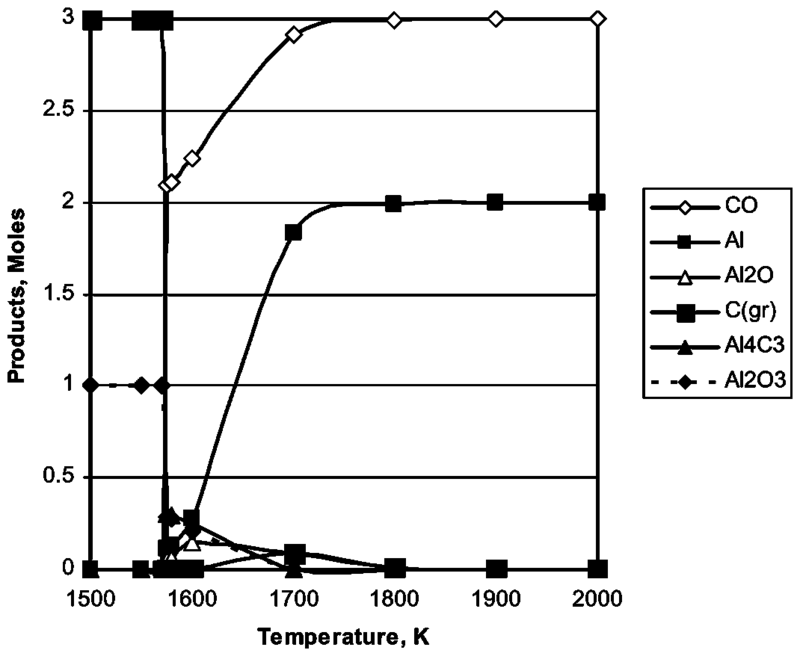 Figure 3: Equilibrium distribution vs. temperature for the system Al2O3 + 3C at 10-4 bar. 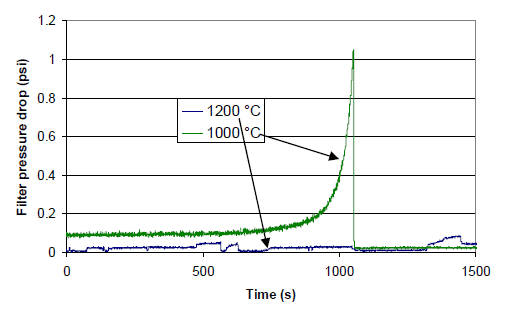 Under a vacuum of 10-4 bar (Figure 3), with an onset of Aluminium production already at 1600 K, the formation of Al2O and Al4C3 is calculated to be significantly suppressed. 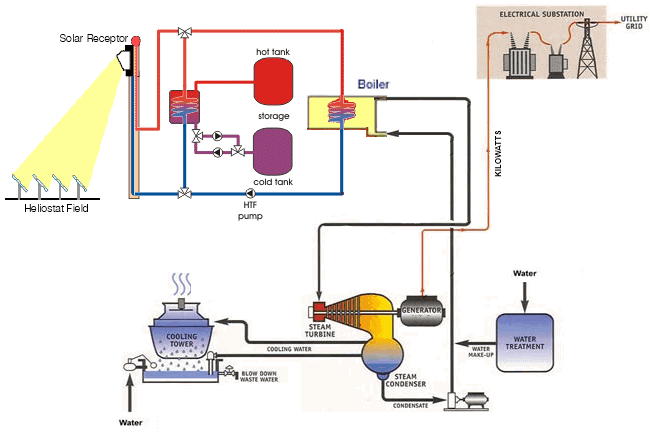 A preliminary estimation of the energy demand of the process under these conditions was made in a two-step calculation. 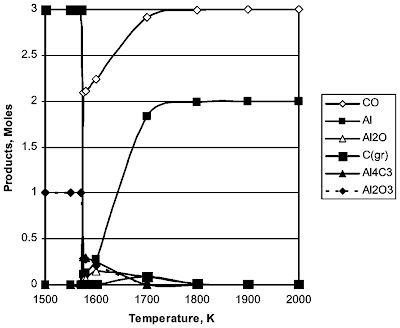 The hypothetical heat input in the reaction of Equation (1) to 2Al(g) + 3CO(g) at T=1800K and 1 bar was calculated to be 1605 kJ / mol Al2O3. The minimum work of expansion from 1 bar to p=10-4 bar was 699 kJ / mol Al2O3. The total theoretical energy input would be 0.0427 GJ / kg Aluminium, comparable to that of about 0.045 GJ / kg Aluminium in modern smelters by the Hall–Héroult process (International Aluminium Institute 2009). In case CO would be submitted to water-gas shift to form syngas for methanol synthesis, this could result in the production of 1.056 kg methanol / kg Aluminium. In conventional methanol production via methane steam reforming (MSR), the total fuel consumption is 0.0445 GJ / kg methanol, thus requiring 0.047 GJ to produce the above amount of methanol (Frank et al. 2009). Therefore, the theoretical overall fuel saving by the proposed Aluminium and methanol coproduction, relative to the conventional processes, would be 53.3%. The required heat for the process may be supplied by concentrated solar energy, induction furnaces, or electric discharges. In case concentrated solar energy would be used for process heat, the total theoretical energy demand for pumping work would be only 0.0129 GJ / kg Aluminium. If the combustion of fossil fuel is used for process heat, the calculated CO2 emission would be 3.32 kg CO2 / kg Aluminium, resulting in 53% avoidance of greenhouse gas emission relative to modern Hall–Héroult plants (International Aluminium Institute 2009). Emissions would be further decreased when applying concentrated solar energy as the source of process heat. A clean energy future is part of a long term plan to reshape our economy, cut carbon pollution, drive innovation, and help avoid the increased costs of delaying action on climate change. On 17 November 2011, the NSW Government appears before a Parliamentary Committee inquiring into Coal Seam Gas. 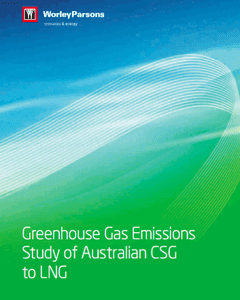 The NSW Government submission strongly favours rapid development of coal seam gas. It has no place for solar or any other zero emission technology. A hybrid solar/biomass gasification option - if costed very quickly - might persuade the Parliamentary Committee next Thursday to reject the NSW Government's submission to commit NSW to 250 years reliance on Coal Seam Gas. At the least, it should defer a decision pending a more up-to-date analysis of alternative approaches to meeting future energy needs. 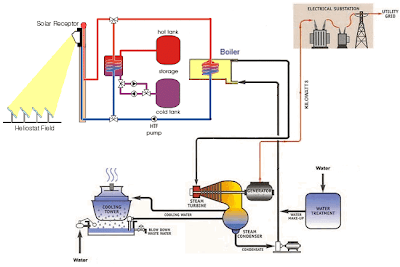 One such alternative approach - solar thermal gasification f biomass producing fuel for a Combined Cycle Gas Turbine (CCGT) power station is illustrated here - Providing Energy Without More CO2 Emissions. Time is running out for real decisions that will determine the direction of the NSW energy industry throughout this century. Long Run Marginal Cost (LRMC) is defined as the cost of an incremental unit of generation capacity spread across each unit of electricity produced over the life of the station. LRMC includes capital cost, fuel cost, variable operating and maintenance costs. Variable costs include fuel costs and variable component of operating and maintenance costs. All costs are based on A$ 2008 and exclude a carbon price. Do Large Corporations Plan Energy Systems to Fail? "Drawing on experience gained in the aftermath of the March earthquake and tsunami that devastated parts of eastern Japan, Toyota will introduce a 1.5kW power supply option for the Japan-market Prius within about half a year, and will expand the option to other hybrids in the near future." 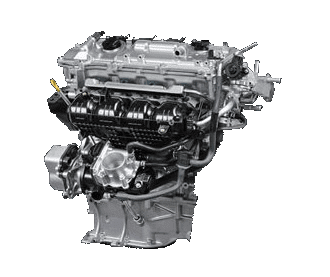 Toyota's hybrid technology uses a synchronous AC generator capable of high speed axial rotation, realizing substantial electrical power while the car is running in the mid-speed range. The inverter in the Power Control Unit converts ... AC generated by ... the generator into DC to recharge the battery. "Australia faces massive costs in transmission, in getting power to market. Might rule out options like Geothermal - AGL"
"Ever so gradually the world is turning towards reasonableness, and I'm glad to see that Toyota is part of the turn. I have felt for a long time that the only reasonable setup for an electric vehicle is one with an onboard generator. Certainly the cost of this is many millions lower than the taxpayer money government is wasting on charging stations." "@citizen - You're on the right track. But its a bit larger than you're thinking. Toyota's onboard genset and the Japanese earthquake all spell a major wake up call for the old school power grid and power company. Centralized power generation is the big fail here. Single source power plants, terrorists, earthquakes, hurricanes, severe electrical storms - are all major threats. With the advent of low cost CHP power appliances - all these threats are eliminated." Onboard engines and generators of hybrid electric vehicles could be exploited to eliminate the threats to a power grid to which centralized power plants are vulnerable - as "Reel$$" commented above. Eliminate the cost of transmission and generating capacity to cope with peak electricity demand. Why not pursue this solution? To eliminate reliance on petroleum transport fuel, Hybrid electric vehicles could be connected to natural gas fuel lines at parking bays. The petrol / gasoline in the vehicles' fuel tanks would be reserved for use when the vehicles were being driven, and even then, only to extend their driving range when the onboard batteries needed recharging. Hybrid electric vehicles such as the Toyota Prius have onboard engines/generators able to produce 50 kilowatts of electrical energy or more. With an external fuel supply, there is no reason to restrict the power output to just a few kilowatts, as Toyota has recently announced. Parked Hybrid electric vehicles could be dynamically scheduled to generate power or shutdown in response to demand by a Smart Grid supply management system. Suppose Option 1, replacing every coal-fired power station in Australia with gas power stations costs $10 billion, and this investment cuts CO2 emissions by 50%. Suppose Option 2, replacing every coal-fired power station in Australia with solar thermal power stations costs $100 billion, and this investment cuts CO2 emissions by 100%. Assume with each option, the rate of investment is the same - $1 billion per year. Option 1 cuts CO2 emissions by 50% after 10 years. Option 2 cuts CO2 emissions by 50% after 50 years. There are many ways to increase clean energy production that deliver the same environmental benefit. What is most important is to obtain the environmental benefit at the lowest cost - so each $ invested reaps the greatest benefit. Read more at "Negative CO2 emissions - Climate protection opens new business areas" and "Doubling Energy Production with No Increase in CO2 Emissions"
Concentrated Solar Thermal energy is intermittent, and the cost of storing thermal energy increases the cost of using it to generate electricity. 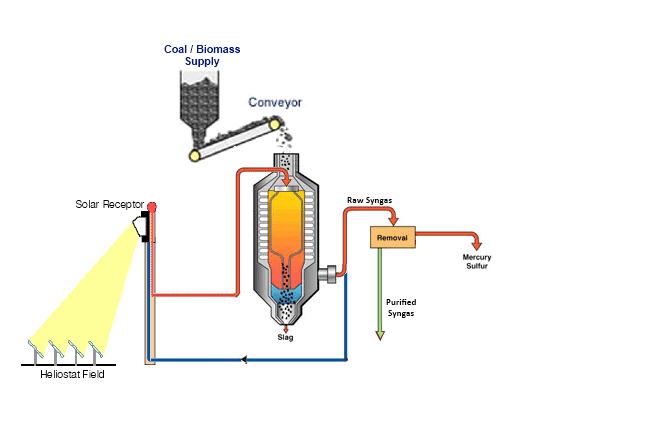 However, biomass gasification at high temperature can be achieved efficiently with Concentrated Solar Thermal energy. As non-solar thermal gasification systems cannot efficiently achieve temperatures in excess of 1000 °C, they will be burdened by some tar production, which decreases yield and can foul downstream catalysts and equipment. This is completely eliminated at 1200 °C, adding more impetus to operate the gasification reaction in the solar thermal temperature regime. When biomass is gasified by incineration with air and pure oxygen, char is left over and part of the biomass energy is consumed. When the energy to gasify the biomass is Concentrated Solar Thermal energy, little of the biomass remains and the resulting gas contains about double the energy content. 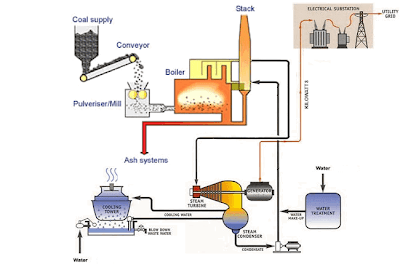 A biomass CHP (Combined Heat and Power) system then produces much more energy from available biomass resources. Also, Concentrated Solar Thermal energy is exploited in this process at a lower cost than a Solar Thermal power station. 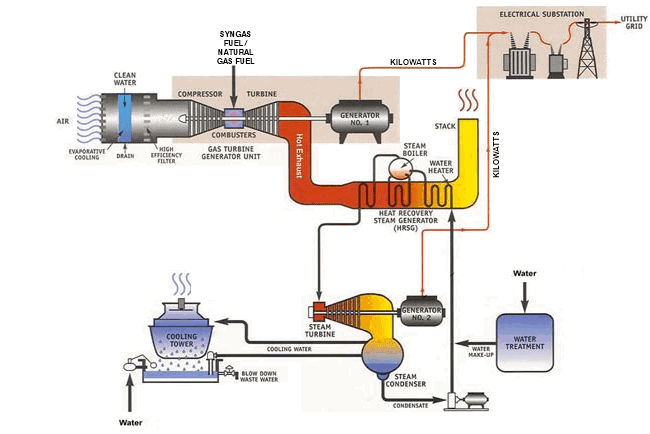 The expense of thermal energy storage is not needed.